Back to school is an exciting, as well as nervous time for children. If you are in the process of a divorce during this time of the year, the added stress and pressure on your children only adds to their anxiety about school. It is important that your children find comfort in both of their parents. Put your differences aside and be sure that co-parenting exists to provide them a sense of security. As each new school year starts, children of divorce will face challenges along the way. This already strenuous time is often more difficult for a child with co-parents in two separate homes. The legal team at Martins Mill Legal Center has many years of experience as divorce attorneys in Northeast Philadelphia. They understand there are many different ways parents can handle the stresses that come with trying to co-parent during back to school time. They offer a few easy tips that you can follow to make sure back to school stress is as minimal as possible for both you and your children. Despite the differences between you and your ex, the children should be your main focus. Put aside your differences in order to make the new school year as positive as possible. Chances are, their friends are going to have questions about your divorce and if you drag the kids into your fights, it’s only going to create uneasiness for them when faced with questions. Remember, you are divorcing each other, not your children. They don’t need to see any of the negativity. Preparing your children to go back to school requires a lot of coordination between all parties involved. Without communicating properly with your ex, even simple issues will seem unmanageable. Therefore, you need good communication. 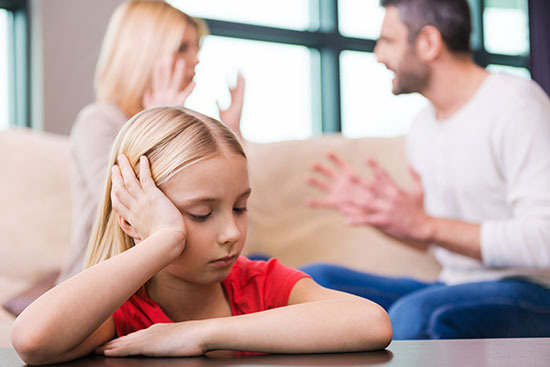 Set up family meetings weekly or monthly, with both parents present, to discuss any issues children may be having or questions about the future within a divorced family. Seeing you together gives them reassurance that you are both available to talk. If in person meetings aren’t possible because the two of you just don’t think you will be able to be civil, then communicate in other ways: via phone, text message and email. Communicating with each other about school calendars and events is crucial so that you can either both be available or take turns with certain curricular. If you often argue about child support and other expenses, it is extremely important not to discuss such things around your children. The last thing they need to be worrying about is money issues because they hear you talking about them. Avoid blaming the other parent about money issues in front of your kids. They may start to resent either or both of you. Within every family, each parenting method is different. If you aren’t sure what your legal rights and responsibilities are, or you believe the current circumstances are not what’s best for your children, you need to talk to the staff at Martins Mill Legal Center. They are experienced family and divorce lawyers in Philadelphia and can provide you with clear advice and real answers.